The Old Town of Marbella is a truyly beautiful place that I strongly advise to visit. My lovely family have finally come to visit me in Marbella -- my mom and her husband, my grandmom, and my younger sister. I was thinking about where to take them in the first place and decided to show them around the Old Town of Marbella as well as a flamenco show. Mt family was delighted, and my grandmom, who is 79 years old, by the way, said she had never been to a more beautiful place! The Old Town, centred around the church and Orange square, is a lovely oasis in the middle of this bustling holiday city. Nice orange trees line cobbled shaded streets that house a multitude of old world wooden front doors. There are cafes and boutique shops aplenty, but without the hurried rushing of a shopping mall. It is a really nice place. Most of the streets are narrow, and around every corner, there is somewhere to eat and drink, plenty of gift shops, loads of old buildings, and churches, all worth a visit. And Ana Maria's Flamenco Show! Open since 1991, Tablao Flamenco Ana Maria offers guests an unforgettable evening of Flamenco. You can also enjoy their special package which includes typical Andaluz tapas and a class in Flamenco followed by a Flamenco show by the professionals! 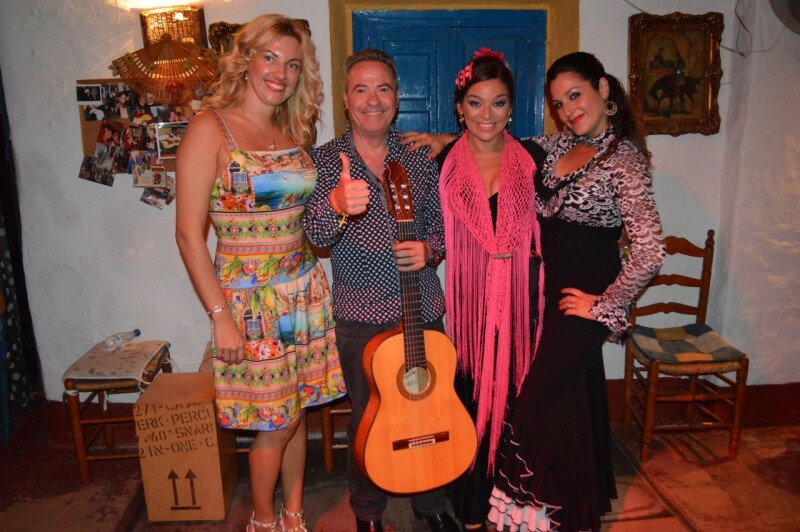 It was an amazing evening here... A small converted house where flamenco dancing comes alive. The dances were superb. The highlight being the older gentleman singing with such passion, it brought me to tears. An absolute gem in Marbella!